Asperger syndrome is sometimes referred to as “high-functioning” autism. Children with Asperger syndrome do learn to speak and are able to develop typical language skills. However, like children with ASD, they do exhibit difficulties communicating with others. They basically need help with the pragmatic side of language. Children with Asperger syndrome have difficulty relating to others. Some of them appear to want to relate to others, but they simply do not know how. They also have difficulty with their sensory system and may engage in self-stimulatory and repetitive behaviors. Children with Asperger syndrome often have average or above average intelligence. Academic preparation: children with Asperger syndrome may have difficulties with specific learning skills and will benefit from the help of small group and/or individualized learning support from a resource teacher. An Individualized Educational Program or Plan (IEP) needs to be in place for children with Asperger syndrome. RDI: Relationship Development Intervention is a special program that aims at training parents to help children develop healthy and meaningful relationships with them and with others. It is claimed that children with autism who receive RDI may become better able to communicate and interact with others as well as develop a theory of mind and perspective taking. Special diets: Some children with Asperger’s Syndrom are placed on a restricted diet, which some state may help with their behavioral and learning difficulties. This may include the following: casein-free diets, gluten-free diets, and vitamins. Casein is a substance found in dairy products like milk, butter and cheese; gluten is a substance found in products like bread, pasta and pizza; vitamins are components found in foods, like meats, fruits and vegetables (Fig. 1). 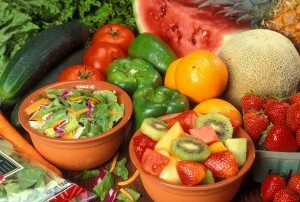 These diets are part of a homeopathic or naturopathic program. Music therapy: Music may help children with autism improve their cognitive, social and emotional skills as well as help them with their neurological functioning. Art and play therapy: This may be part of a holistic program that targets all developmental areas. Dance and movement therapy: This can help some children develop a better understanding of their bodies and how they function in the world. It may also address some aspects of their hypo and/or hyper-sensitivity to certain environmental stimuli. Children with Asperger may learn academic or behavioral skills well, but have difficulty with generalizations and or using skills in the appropriate context. Some specific interventions may be used to teach children to apply or make a practical use of the skills they learn. This is called transference of skills. Some of the difficulties these children have relate to not knowing how to understand the facial expressions or gestures of others. This is called “non-verbal learning difficulties”, and some teaching strategies are available that help children relate better to other children and adults within their social context. Without help in this area, many children get themselves in trouble or miss out on fun stories, jokes and play activities they cannot grasp. An example of a useful program with free ideas and activities is Let’s face It, a program with resources for teachers, students and parents that includes curriculum material for children within the autism spectrum and that was created at the University of Victoria, in British Columbia.